Should You Ever Donk-Bet On The Flop in No-Limit Hold'em Poker? Home » Poker Strategy » Should You Ever Donk-Bet On The Flop? Should You Ever Donk-Bet On The Flop? Donk-betting — leading into the preflop aggressor — used to be one of the greatest sins a poker player could commit. Back in the hay day of Limit Hold’em, as No-Limit was gaining popularity, most players c-bet flops at a very high frequency. Donk-betting (aka donking or donk-leading) on the flop meant surrendering the opportunity to effectively act last on the flop. Nowadays, high level No-Limit players have added flop donk-bets to their strategy. But they don’t do this on a whim – they know exactly when, why and how to build effective donking ranges to maximize their EV. The out-of-position player is at an informational disadvantage for the entire hand, as they have to act first on each street. When we donk-bet, we effectively split our range – betting some hands and checking other hands — which gives the in-position player extra information about our hand. This further increases our informational disadvantage. To make matters worse, we have a capped range when we call a pre-flop raise from the big blind. This is because we usually 3-bet our strongest hands pre-flop (like AA/KK/QQ/AK/etc). On the other hand, the pre-flop raiser (PFR) will not be capped as they have all of the strong hands in their range. Additionally, the big blind will often have many relatively weak hands that called the pre-flop raise due to pot odds. These factors mean that, on most flop textures, the PFR can c-bet at a relatively high frequency with a polarized range. If we check and the PFR bets (or even checks), they are giving us information about their hand. This information is, in essence, the polarity of their range – they are either value betting with a strong hand or bluffing with a weak hand. Donk-leading into the PFR is the only way to miss out on this information. That is 122 total combinations of c-bet hands out of our initial range of 307 combos, which comes out to a c-bet frequency of 39.74%. Now, let’s consider the same spot against a big blind who does have a flop donk-leading range. Let’s say that we have a decent sample of hands on the player in the big blind, and we think she will usually donk-bet KQ+ for value (alongside some bluffs). This means that the strongest hand the big blind will check to us is QJ. We can counter the big blind’s strategy by betting more often when she checks to us, and we can also do this in a balanced way so she will not be able to exploit us by under- or over- folding. That’s 205 combos of hands we c-bet from our initial range of 307 combos, which comes out to a c-bet frequency of 66.78%. Despite identical bet sizing, we are able to c-bet much more often against a player with a donk-bet range, thus winning the pot much more often. An astute reader will notice that since Villain is capped, we don’t have to worry about facing check-raises when we bet the flop, which allows us to use overbets to extract maximum value out of Villain’s relatively weak range. This gives us 204 combos of flop bluffs for a total c-bet frequency of 85.67%. With a few small tweaks to our attack plan, we were able to increase our c-bet frequency from 39.74% to 85.67%. This means that we are able to win the pot more than twice as often when Villain caps his checking range. 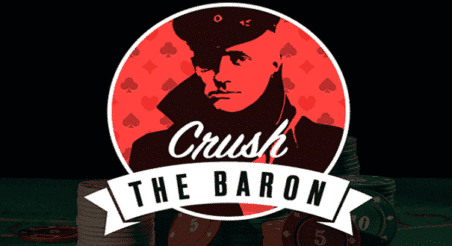 The main disadvantage to check-raising is that you cannot check-raise if Villain checks back the flop. We’ve seen that having some strong hands in our check-raise range is necessary in order to prevent Villain from using an aggressive overbet strategy. One of the problems with donking is that it reduces the number of very strong hands in our checking range, and so our check-raise strategy will suffer. Donking is therefore difficult to properly balance with a check-raise strategy – you will often need to use a mixed approach with some of your strongest hands to ensure that you have them in both ranges (e.g. donking with bottom set 50% of the time and check-raising it 50% of the time). Mixed approaches are difficult to implement in practice. Unless all of your ranges are properly balanced, you will lose more EV from donking than you will gain. Learn more about check-raising with Ryan Fee’s article (see: How to Check-Raise Like a High Stakes Juggernaut). High c-bet frequencies were once vogue, and for good reason. There used to be an abundance of weak players that would play fit-or-fold on the flop, often donking with their strong holdings. C-bets practically print money against players like these. Players “in the know” would have c-bet frequencies as high as 100%, stabbing blindly on any board texture. Players eventually caught on to this and started check-raising more aggressively, which caused most players’ c-bet frequencies to drop. That said, many players still have high c-bet frequencies of 70%+, which means their c-bet range is weak. We can take advantage of this fact by check-raising wider. Against these players, having as many strong holdings in our check-raise range is ideal. Since our check-raise strategy will be so successful against high c-bet frequencies, donk-betting has little merit. When Might Donk-Betting be OK? We’ve discussed some reasons why we shouldn’t donk in general, but let’s have a look at some factors that make it more acceptable to build a donking range. When calling a pre-flop raise from the big blind, we will often have many hands that the PFR will not – hands like baby pairs, suited gappers, offsuit connectors. This means that on some flop textures we can have a “nut advantage” by having two-pairs, sets and straights where the PFR can’t. The range of a PFR often contains many broadway and suited-ace hands. This means that on some board textures, the PFR will have whiffed the flop with a large proportion of his range. Donk-betting is the only way to prevent in-position player from checking back and realizing the equity of his overcards. On low to middling dynamic flop textures — ones with many turn cards that could change the distribution of equity — it is more acceptable to donk in order to prevent Villain from taking a free card. Plus, it allows you to name your own price for your draws and vulnerable hands. In multi-way pots, the need to defend your checking range is reduced because the remaining players will contribute to the defense of the pot against bluffs. This means that when the pot goes multi-way, we don’t need to (and shouldn’t) be bluff-catching as often, and the hands that we will consider bluff-catching with should be much stronger than in a heads-up pot. We can donk-bet in order to deny the other players’ equity without fear of our weakened checking range being relentlessly attacked. Remember, your donking range always needs to be properly balanced in a way that works well with your check-raise strategy. Building a donking range is similar to how you would build any other betting range. First, figure out what hands you want to bet for value, and then balance them with an appropriate amount of bluffs. However, we also need to remember to retain strong hands for our check-raise and check-call ranges in order to prevent Villain from overbetting aggressively. We need to choose a donk-betting size before building the range. Using a small size allows us to see a cheap turn card with our draws — effectively a blocker bet. A large bet size does not work as well as a small bet size when we donk-bet. When betting bigger, our range needs to be more polarized in order to effectively deal with raises. So when we donk-bet for a large size, we can only bet either very strong made hands or comparatively weak draws. Using a small size allows us to bet a variety of different hand strengths (both made hands and draws) aiming to ‘name our own price’ to see the turn card. There are other advantages to using a small bet size, and you can learn about them in Matt Janda’s article on the topic (see: This Is Why You Should Use More Small Bet Sizes). For this example, we will use a 25% pot bet size. When considering which hands to include in our donking range, we need to add hands that allow us to continue betting on many different turn cards (such as Ts9s). These draws need to be balanced with some very strong hands to prevent Villain from raising us aggressively when we donk-bet. However, since the equity of our draws is relatively high, they can make up a large proportion of our flop donking range. Since the equity of hands runs so close on this board, a clear distinction between ‘bluffs’ and ‘value’ can’t be made as easily. Notice that this range connects with a wide variety of turn cards, and has some very strong hands like sets and straights that can 3-bet the flop if Villain raises. Note this range also isn’t too wide – we don’t donk very often and choose to retain many strong hands in our checking range. …BUT building a balanced donk-betting range is difficult in practice. If all of your ranges are not properly balanced, what you win from having a good donk-betting strategy will be accompanied by an even greater loss for your check-call and check-raise strategy. Before building a donk-betting range, look at your check-raise and check-call ranges first. Ask yourself whether donking is necessary on that flop texture, and if it will leave your checking range too weak. Use a smaller bet size for your donk-lead, and make sure your range contains a variety of draws to cover many different turn cards. Having a flop donking strategy is not necessary to becoming a strong player. But if you have already mastered check-calling and check-raising, then incorporating a good donking strategy into your game will help you squeeze out some extra EV in an area where most players overlook. Thomas Pinnock is a math whiz and Upswing member turned GTO wizard. When not preparing for his MD exams, he's either playing poker, crunching numbers in the lab, or coaching. Get in touch on Facebook.